For Mother's Day, I asked for a stencil. A few years ago I would have been all about clothes, but I'm clearly on to home stuff now, which brings me more (lasting) pleasure, probably especially because I spend so much time at home. Anyway, what I really wanted was this wallpaper. It's the wallpaper I've wanted for yeeeeears. The glamour quotient is high, and I think glamour is what my house is missing. It's a busy pattern, to be sure, so I'd only want to do one wall somewhere. And I'm not even into accent walls. But for this gilded masterpiece I'd make an exception. 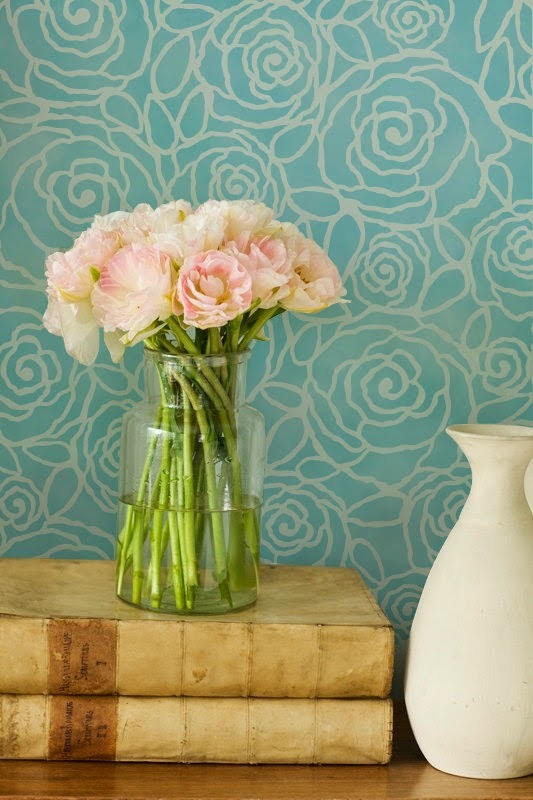 The wallpaper is called "Petal Pusher," and it's by Hygge & West, and it's major expensive (in my opinion) at $125 per roll. I got really, really excited last week when I found this website called Design Public that had it on sale for $62.50 per roll. But then I realized the "roll" covers a swath of wall about the size of a toilet paper square. In other words, even half off this wallpaper is super duper expensive. 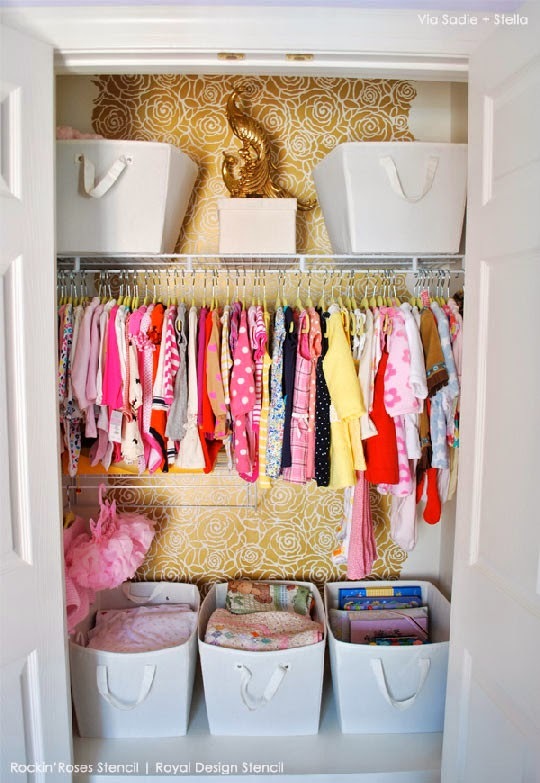 I envisioned just doing this patch of half-wall at the top of my stairs, but even that would require, I think, four rolls of this wallpaper--so about $300 worth of this half-off stuff. Not gonna happen. 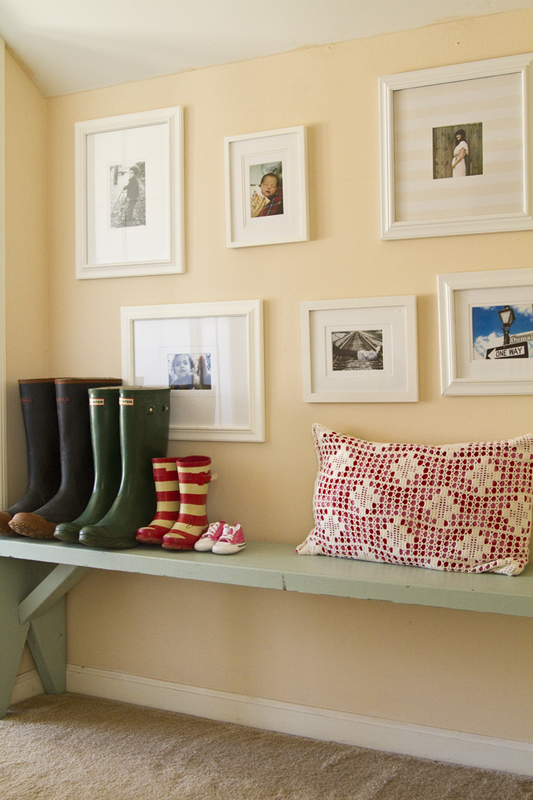 Here's a picture of the place above my stairs that I wanted to wallpaper. FYI - the carpet is gone now, and the ancient wood floors are painted white. Wallpaper is just one of those things I can't ever imagine being able to afford, or at least to afford without giving myself a stomach ache. Like, I could buy these nine rolls of wallpaper and maybe wallpaper a single wall, OR I could go on a beach vacation with my family? BUT I found a great alternative on Pinterest. 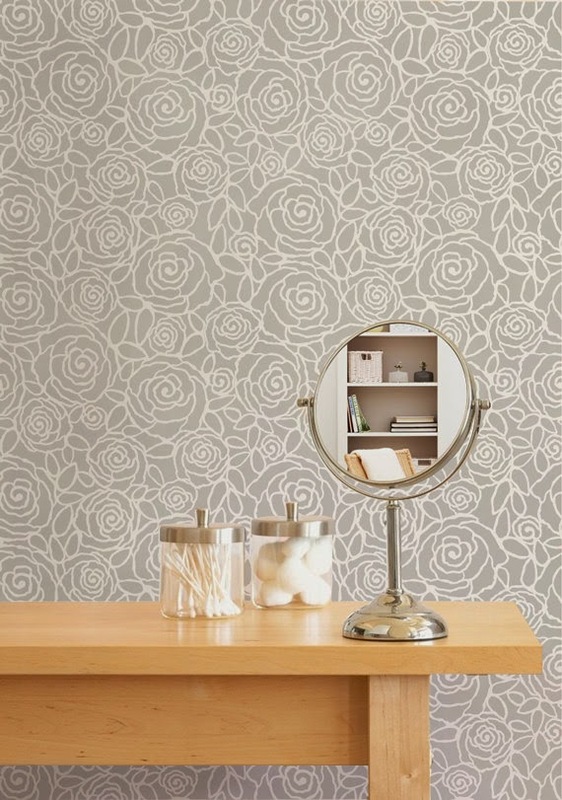 This stencil called "Rockin' Roses," which looks a lot like the Petal Pusher wallpaper to me, is sold by a company called Royal Design Studio. This is the stencil I asked Nekos for, and I'm so pumped that it's winging its way to me via the United States Post Office. 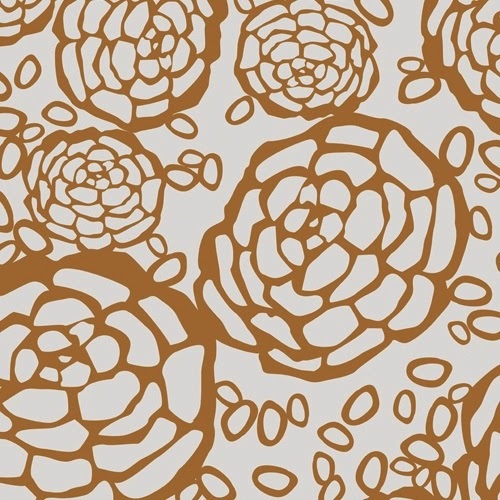 There are so many gorgeous stencils on the Royal Designs site. 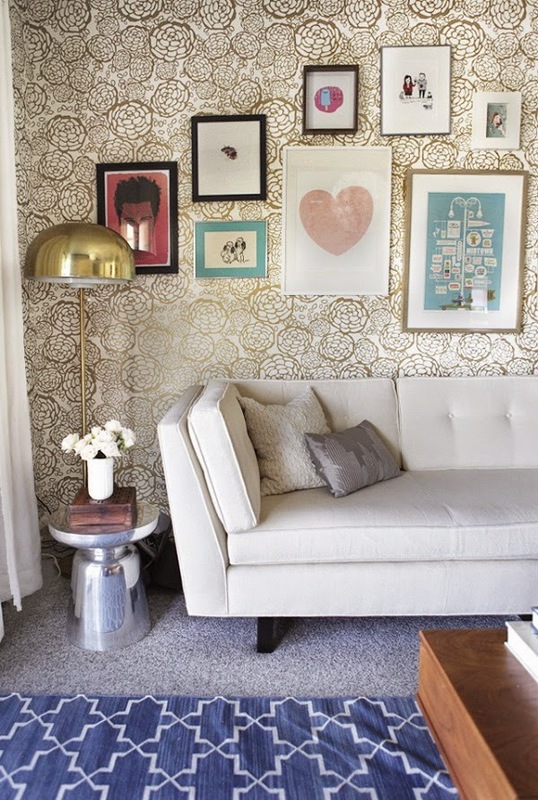 For example, here's a stencil called Skylar's Lace Floral that is awesome on floors and that has been featured in Elle Decor. You know I'm going to come back here and show you how my wall looks when I'm done, right? 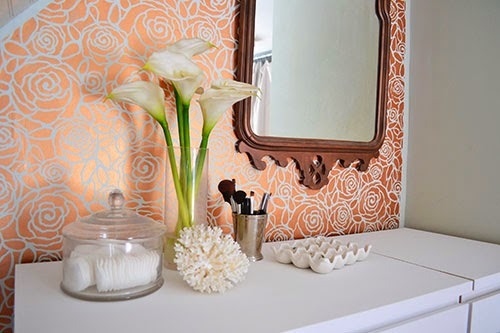 I suppose if I really want to mimic the look of the Petal Pusher wallpaper I need to first paint that whole wall gold and then stencil white on top of it. This is gonna be scary, but the good kind of scary. 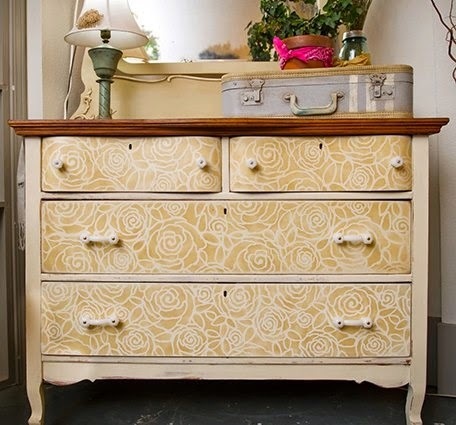 Any of you have experience with stenciling? How did it turn out? Happy Mother's Day to all the mamas out there. May you get exactly the oddball present you wish for, in addition to the most important things of all--appreciation for all of your hard work--and a long, deliciously lazy morning to sleep in.